The idea for MILESTONE – the leading European living concept for students and young professionals – was born in 2011. It all began with a building plot in the 2nd district, with which the Value One Group looked to incorporate innovative ideas, while staying true to it’s Credo: To develop special, even extraordinary projects, where the people take centre stage. 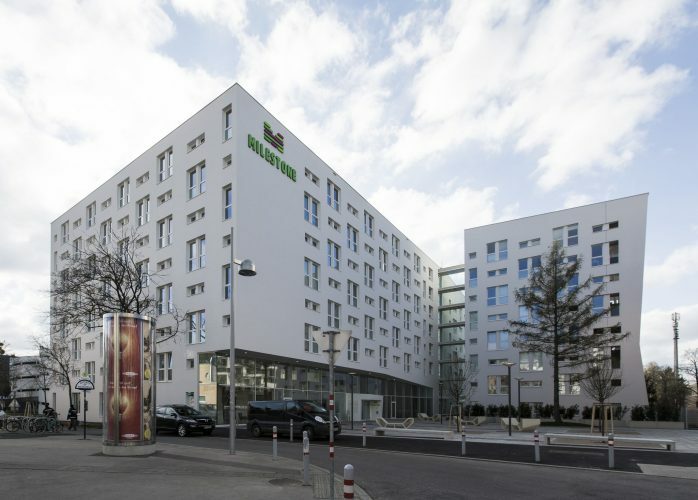 After the new location of the Vienna University of Economics and Business – one hundred and fifty metres from MILESTONE – was revealed in 2010 and the timetable was set, the Value One Group realised: a completely new kind of housing for students and young professionals had to be created. International comparisons, trends and studies on the housing needs of the future eventually led the Value One Group to the MILESTONE product idea. With all these measures, these self-evident facts, we go by the motto: Everyone can contribute, everyone can take responsibility. After all, we only have one world – the world of today. That’s why ecological footprints, corporate social responsibility and fair trade are much more to us than mere slogans. They are an expression of our green conscience.